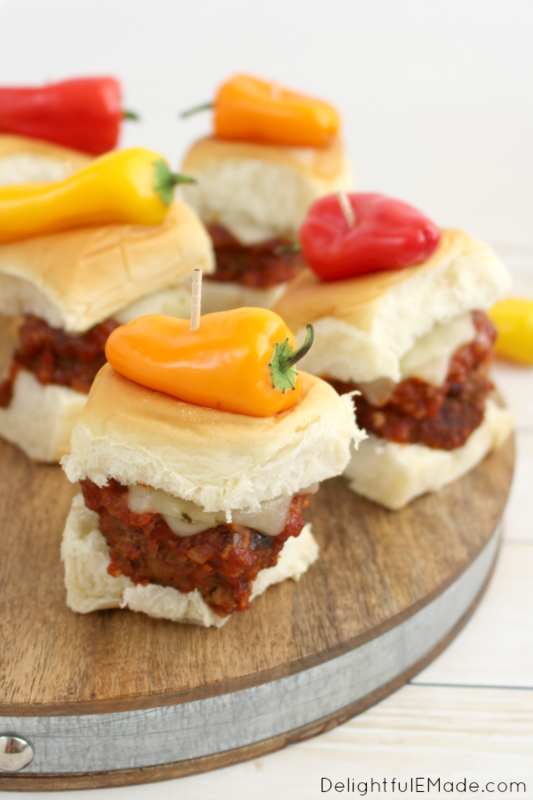 These Sweet & Spicy Meatball sliders are incredible! 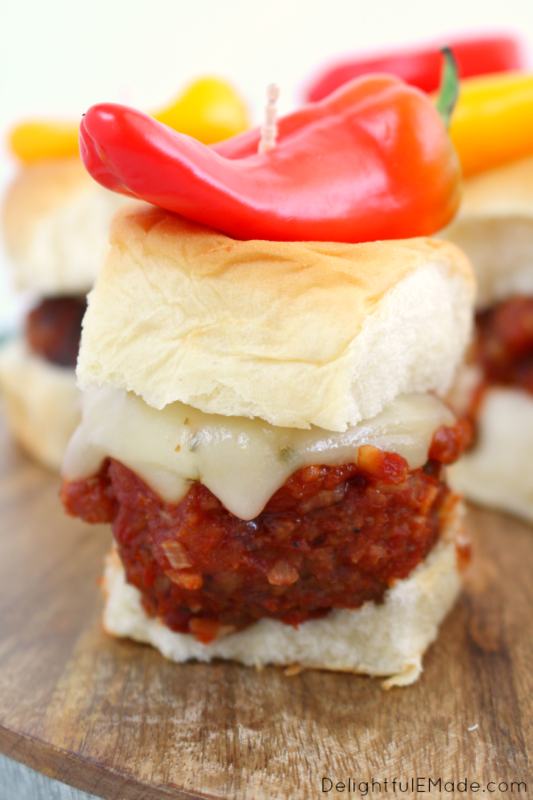 Spicy meatballs paired with a sweet & spicy sauce, topped with pepper jack cheese and served up on sweet rolls and topped with a sweet pepper! Perfect for tailgating or watching the big game at home! My family and I are loving the fact that it’s finally football season! We love watching college and pro games all weekend long, and are even planning a trip this weekend to see one of our favorite teams. We love cooking up some great football food to go along with cheering on our teams. 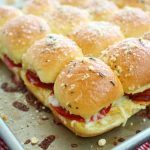 One thing that is always essential are heavy appetizers that can also double as a meal – these Sweet & Spicy Meatball Sliders are perfect for the occasion! This meatball recipe is one that I’ve adapted from a recipe that my grandma has made for years! The meatballs are big, loaded with flavor and thanks to the Red El Yucateco Hot Sauce they have a fantastic spice. I add the Red El Yucateco Hot Sauce to both the meatball mixture and the sauce. The red sauce is made with fresh red habanero peppers, tomato, and select spices and seasonings which pair perfectly with a hefty meatball! 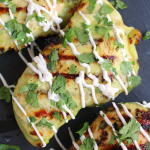 I’ve used the Green El Yucateco hot sauce in my Spicy Verde Grilled Chicken, which is such a fantastic grilled chicken dish! 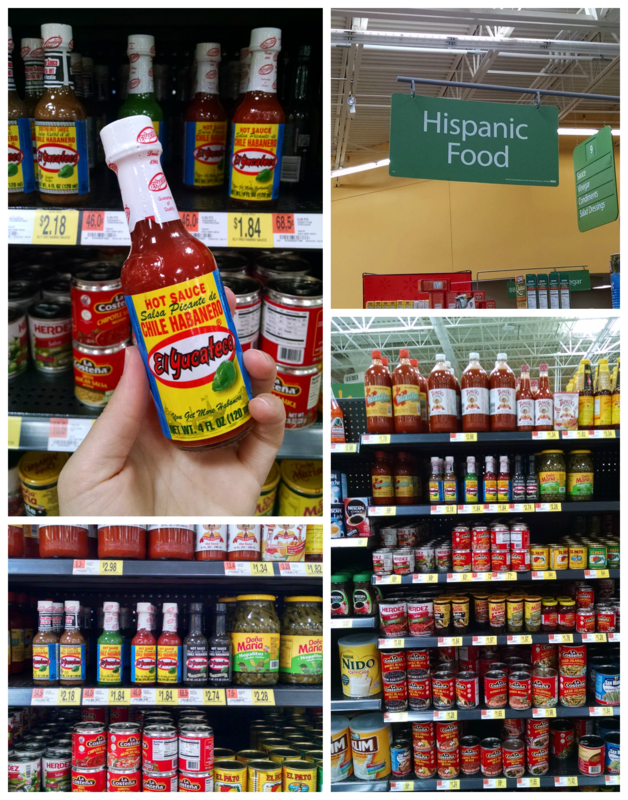 To score some of this awesome El Yucateco hot sauce flavor, stop by your local Walmart! 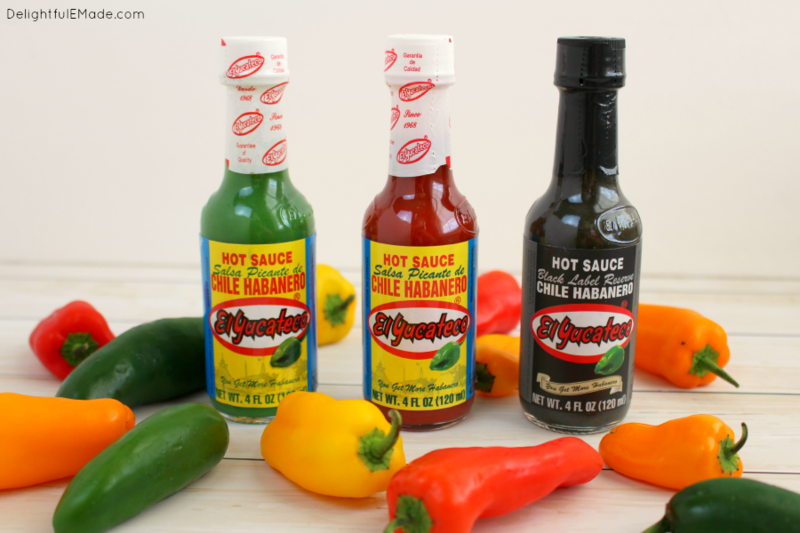 Not only do they carry a great selection of El Yucateco hot sauces, they also had everything I needed to make my Meatball sliders – the peppers, buns, beef, cheese – and all of our other football watching essentials! You can find all of these fantastic El Yucateco hot sauces in the Hispanic Foods section at your local Walmart. 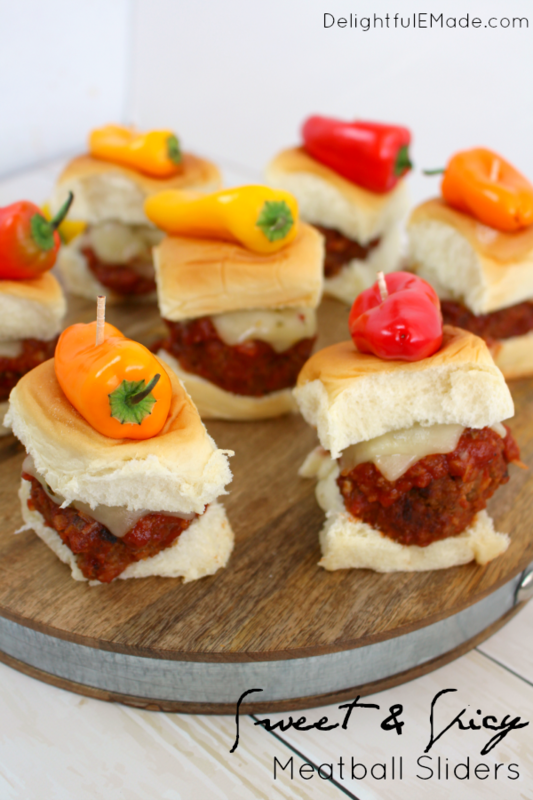 These meatball sliders are the perfect tailgating food! Not only are they easily portable, you can get the amazing flavor cooked up on your grill anywhere. 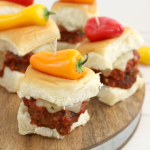 If you’re traveling and want to make these sliders for a tailgate even, I would suggest preparing the meatballs in advance. Roll out the meatballs, and store in a disposable aluminum pan. 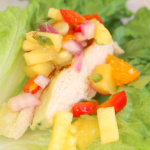 Additionally prepare your sauce, and have it ready to go in a resealable container. When you get to the game and are ready to fire up the grill, add the meatballs by simply placing the aluminum pan directly on the grill rack. As the meatballs brown, turn them over to brown on the other sides. Once completely browned, add your sauce over the top of the meatballs directly into the aluminum pan. In my opinion, these are just as easy, and way more flavorful than traditional burgers. 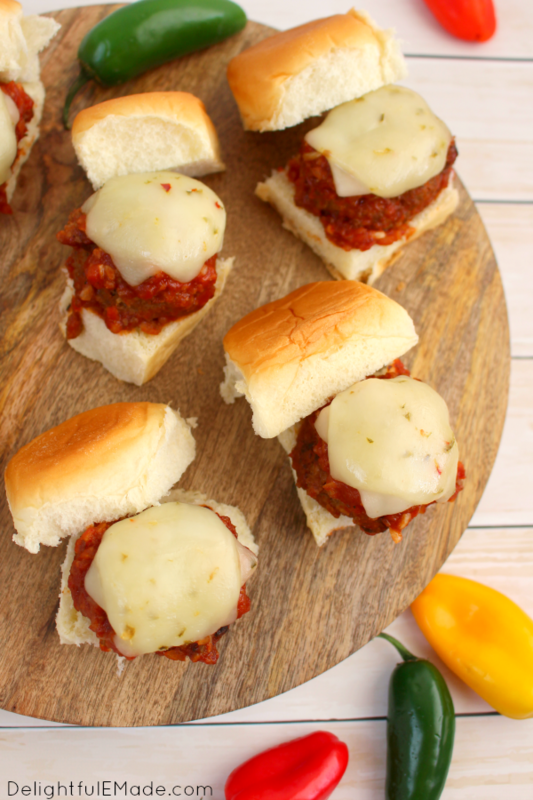 Once the sauce has heated through, add the meatballs to sliced sweet rolls and top with slices of pepper jack cheese. This cheese goes wonderfully with the spicy, sweet meatballs and the sweet rolls! Prepare the meatballs by combining the beef, oatmeal, cracker crumbs, eggs, onion, hot sauce, salt, chili powder, garlic powder, and pepper. Stir until all ingredients are completely combined. Using a 1/4 c. measuring cup, measure out the meat mixture and roll out the meatballs. Place meatballs into a disposable aluminum pan sprayed with nonstick cooking spray. 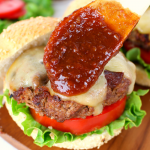 Prepare the sauce by combining the tomato sauce, brown sugar, hot sauce, liquid smoke, garlic powder and minced onions. Stir together until completely combined and store in a resealable container. When ready to cook the meatballs, preheat gas grill to medium high heat. Add the aluminum pan with the prepared meatballs directly to your grill rack. Meatballs will begin to brown, occasionally turn meatballs until they are browned on all sides. Once browned, pour the prepared sauce over the meatballs, and cover the pan with aluminum foil. Cook for an additional 20 minutes. 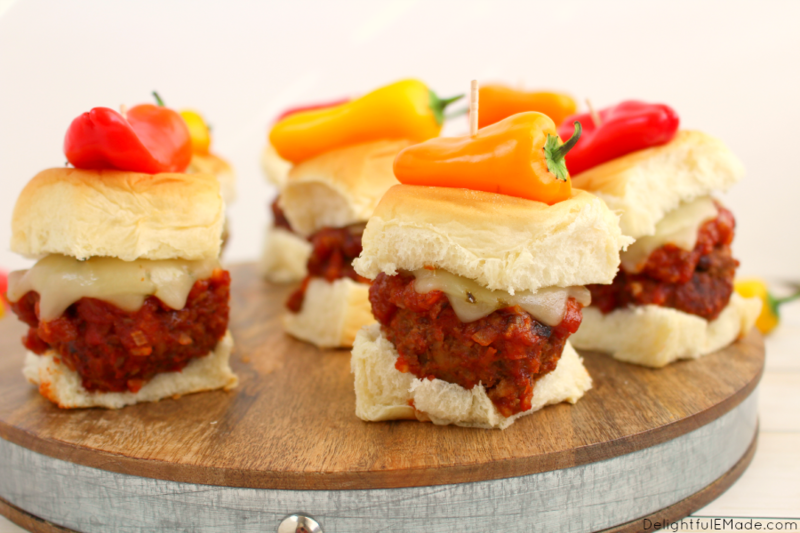 Serve the meatballs with slices of pepper jack cheese, sweet dinner rolls, and top with mini sweet peppers. Enjoy! Slow Cooker Directions: Mix meatballs as directed. Add the meatballs to a slow cooker. Cook at low for 4-6 hours. Add the sauce and cook for an additional hour. Oven Directions: Mix meatballs as directed. Add meatballs to a 9x13" pan, and cover with the sauce. Bake at 350 for about 1 hour. 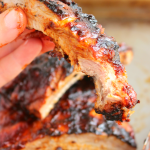 Do you and your family have a favorite football recipe? Do you love bringing some spice into the mix with your game-time eats? I would love to hear about it – drop me a comment below! Then tutorial, I'm taking into consideration ditching Licorne entirely as well as constructing all my relate to GSA SER. These were soooo good!! I made them tonight for some friends and everybody loved them. I will definitely be making them again soon! Also, I forgot to add the evaporated milk and it was still delicious. This recipe looks so delicious! Hi, I'm Anita visiting from Showcase Your Talent Thursday. Thank you for linking up to last weeks Tasty Tuesday linky. 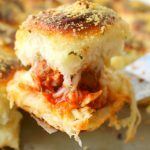 I have pinned your recipe to the Creative K Tasty Tuesday Pinterest board. I hope that you'll join us again tomorrow.